So many wonderful things happening, I must separate them with numbers! 1) Two of my poems, “Lost” and “Turning the Leaves,” are nominated for an Aurora award. This is administered by the Canadian Science Fiction & Fantasy Association. The last time I was nominated for a Canadian award was in primary school, when I very unexpectedly won a prize for a poem I scrawled on a sidewalk in chalk. (The prize was $50! I bought rollerblades with it!) I’m very happy with the nomination, and grateful to Strange Horizons and Apex Magazine for publishing — and in Lynne Thomas’ case, inspiring one of — the poems in the first place. 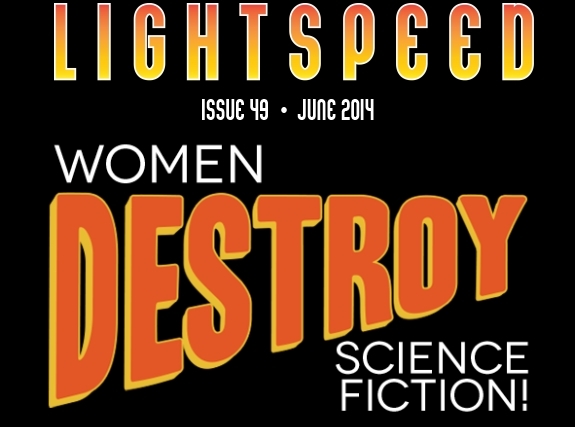 2) Lightspeed Magazine has released the frankly incandescent Table of Contents for its upcoming WOMEN DESTROY SCIENCE FICTION double issue. It’s actually a bit frustrating to look at those names highlighted in blue and not be able to click on them yet. I have a story in this issue. It’s called “The Lonely Sea in the Sky” and is about the purported diamond oceans on Neptune. I’ve been trying to write it for four years and I could never have finished it without Christie Yant’s kind, patient, unrelenting hand-holding and support, as well as her repeated assurances that she really wanted this story from me and it would be OK if I just trusted her to judge its merits instead of me. I think I was basically a textbook case study in correcting the problem the issue addresses — women lacking confidence, women feeling undermined by socialization where the sciences are concerned, etc. But at my back I always hear / science-y dudebros sniggering near. She’s been an amazing editor to me and I can’t thank her enough. I could also never have written the story without the village of wonderfully generous people who sprang up to help me with astro and quantum physics and/or reassure me that hand-waving it all is perfectly permissible and indeed encouraged. Elaine Gallagher, Stu Nathan, Neil Williamson, Stu West, Asia al-Massari, J. A. Grier, Karen Meisner, Rose Lemberg, Chris Caldwell, Alex Kelly, every single person who chimed in on Twitter to say they’d help me with physics — thank you. I feel I’ve cracked through a ceiling of SF writing and have levelled up a dump stat. 3) I also have a story forthcoming in the Kaleidoscope anthology, the Table of Contents of which has also just been announced! “The Truth About Owls” is dedicated to Tessa Kum, who first introduced me to the Scottish Owl Centre last October, and whom I miss very much. 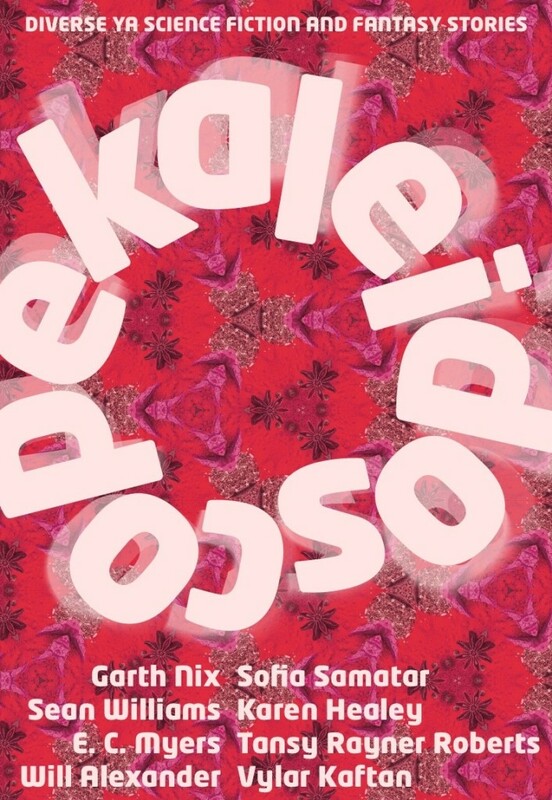 This is the story that was supposed to be about owls and ended up being partly about trauma and languages and Israel’s bombardment of Lebanon in 2006. (It’s still mostly about owls.) In April I went to the SOC three times in as many weeks, each time bringing different people, but I need to lay off for a bit since I think my enthusiasm for the place has begun weirding out the staff. And that’s that for now. A lovely beginning to May, even if it did snow a bit in East Kilbride. This entry was posted in Uncategorized and tagged awards, poetry, writing. Bookmark the permalink.